Every computer connected to the Internet is provided with a domain name and an IP Address. When a visitor requests a web page from within the Bowman Riley website, our servers automatically identify and log the HTTP request that is made. Bowman Riley has found it advantageous to examine visitor traffic so that we can ensure maximum compatibility for the various browsers and operating systems that visit our site. By analysing visitation patterns, referring URLs and search engine terms, we can strategically enhance our exposure across the Internet. We endeavour to ensure that all material on our website is accurate and up-to-date. However, errors and omissions can happen, so the content is provided without any warranty or liability. We do not warrant that use of the website will not infringe third party rights. 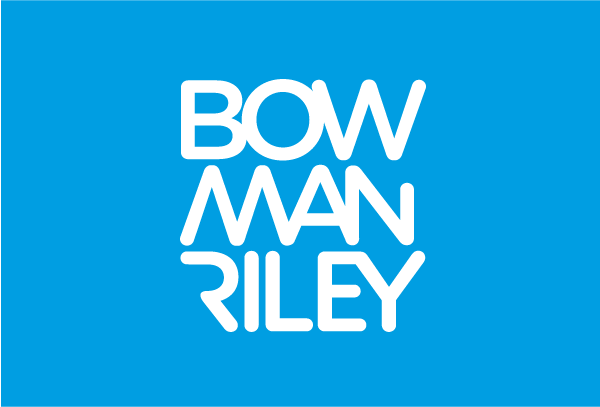 Although care is taken to check and test material at all stages of production, Bowman Riley does not accept any responsibility for any loss, disruption or damage to your data or your computer system which may occur whilst using material derived from this site, howsoever caused.